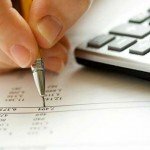 Perfect Accounting Service intends for Perfect Accounting Service .com to complement the services that the firm provides. This statement, set forth below, is our privacy statement for our Web site. These privacy statements describe the practices we follow to respect the privacy of all visitors to this site. Email Alerts. Perfect Accounting Service offers an email alert service to site visitors, in which we send subscribers free email updates when new information is added to Perfect Accounting Service.com. If you decide to subscribe, we will collect basic contact information about you, such as your name and email address. Please note registration is not required for you to use our site. Your Choice. Perfect Accounting Service gives you choices regarding the collection and usage of your personally identifiable information. If you do not wish to provide your name and email address, simply do not register for email updates. If you have registered with Perfect Accounting Service.com but do not wish to receive future e-mails, please use our easy unsubscribe link at the bottom of each email that is sent to you. 7 – subscribes to the Safe Harbor Principles published by the U.S. Department of Commerce. Social Media Platforms. You may wish to participate in the various blogs, forums, wikis and other social media platforms hosted by Perfect Accounting Service (“Social Media Platforms”) which we make available to you. The main aim of these Social Media Platforms is to facilitate and allow you to share content. Perfect Accounting Service cannot be held responsible if you share personal information on Social Media Platforms that is subsequently used, misused or otherwise appropriated by another user. Data Security/Integrity. Perfect Accounting Service has technological and operational security functions in place to protect personally identifiable information from loss, misuse, alteration or destruction. The data you may provide via the United States Web site is shared only with authorized employees of Perfect Accounting Service, and on a limited basis, with vendors who supply information management services, and third parties in association with events. Access to your information is limited by need, and those who have access to the data have agreed to maintain the confidentiality of such information. In addition, Perfect Accounting Service may disclose personally identifiable information as may be required by subpoena, search warrant, or other legal process. Accountability. Perfect Accounting Service complies with applicable privacy regulations. Perfect Accounting Service supports and is involved in consumer, government and industry efforts to identify and resolve privacy issues. Changes to This Policy. Perfect Accounting Service may change this policy statement as needed. If changes to the statement are made, please note that it may take up to 30 business days before new privacy practices are implemented. Check this page periodically if you would like to monitor changes. Consumer Recourse. If you have any questions or concerns regarding your privacy while using ey.com, please contact our site manager. PERFECT ACCOUNTING SERVICE DISCLAIMS ALL LIABILITY AND RESPONSIBILITY FOR ANY ERRORS OR OMISSIONS IN THE CONTENT CONTAINED ON THIS SITE. All content on the Site and all services provided through it are provided “as is”, with no guarantees of completeness, accuracy or timeliness, and without representations, warranties or other contractual terms of any kind, express or implied. 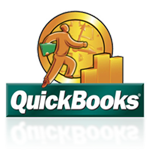 Perfect Accounting Service does not represent or warrant that this Site, the various services provided through this Site, and / or any information, software or other material downloaded from this Site, will be accurate, current, uninterrupted, error-free, omission-free or free of viruses or other harmful components. TO THE FULLEST EXTENT PERMISSIBLE PURSUANT TO APPLICABLE LAW, PERFECT ACCOUNTING SERVICE DISCLAIMS ALL LIABILITY TO YOU AND EVERYONE ELSE IN RESPECT OF THE CONTENT ON THIS SITE AND ALL SERVICES PROVIDED THROUGH IT, WHETHER UNDER ANY THEORY OF TORT, CONTRACT, WARRANTY, STRICT LIABILITY OR NEGLIGENCE OR OTHERWISE, AND WHETHER IN RESPECT OF DIRECT, INDIRECT, CONSEQUENTIAL, SPECIAL, PUNITIVE OR SIMILAR DAMAGES, EVEN IF PERFECT ACCOUNTING SERVICE WAS ADVISED, KNEW OR SHOULD HAVE KNOWN OF THE POSSIBILITY OF SUCH DAMAGES. The information presented on this Site should not be construed as legal, tax, accounting or any other professional advice or service. You should consult with a Perfect Accounting Service professional advisor familiar with your particular factual situation for advice concerning specific tax or other matters before making any decision. You should not send any confidential information to any member firm of Perfect Accounting Service until you have received agreement from the firm to perform the services you request. RSS feeds, podcasting and email updates are free services offered by Perfect Accounting Service to individuals for private, non-commercial use. The Perfect Accounting Service RSS feed is a means by which Perfect Accounting Service offers article headlines, descriptions and links in XML to individuals who use RSS readers or aggregators. A podcast is an audio program for which individuals can subscribe. Perfect Accounting Service makes podcasts available to individuals for their own personal use. RSS, podcasting and email update aggregators may incorporate the Perfect Accounting Service feeds into their directories for the benefit of individuals using the aggregator. Any other use is prohibited, including copying, reproducing, republishing, uploading, posting, transmitting, or distributing our feeds or podcasts in any way by any means. Perfect Accounting Service reserves the right to discontinue our feeds, podcasts and email updates at any time. All content, imagery, and logos that appear within the Perfect Accounting Service RSS feed, podcasts and email updates are owned by Perfect Accounting Service and all rights are reserved. The following web link activities are explicitly prohibited by Perfect Accounting Service unless otherwise expressly agreed by us; Links that involve unauthorized use of our logo; and framing or metatags. Perfect Accounting Service does not bear any responsibility whatsoever for the content, accuracy or security of any websites that are linked (by way of hyperlink or otherwise) to this website. Certain links on this Site lead to servers maintained by individuals or organizations over which Perfect Accounting Service has no control. Perfect Accounting Service makes no representations or warranties regarding the accuracy or any other aspect of the information located on such servers. A link to a third party’s website should not be construed as an endorsement by either Perfect Accounting Service or that third party of the other or its products and services. Except where noted otherwise, all material on the Site is Copyright © 2012 Perfect Accounting Service, Inc. All rights reserved. No part of the materials on this Site, including but not limited to the text, graphics and html code, may be reproduced or transmitted in any form, or by any means without Perfect Accounting Service’s written permission.